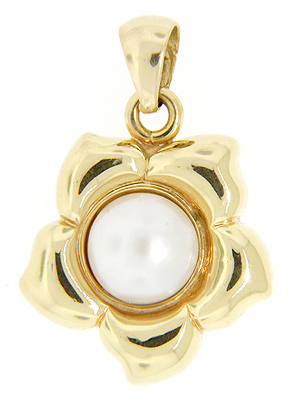 Shaped as a five petaled flower, this 18K yellow gold estate pendant features a lovely mabe pearl. 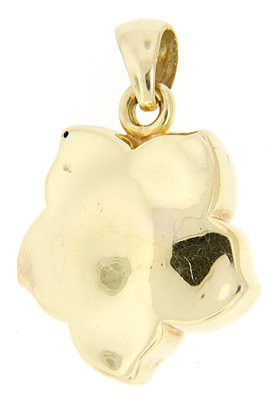 The pendant measures 1 3/4” by 1 1/8”. Circa: 1960.